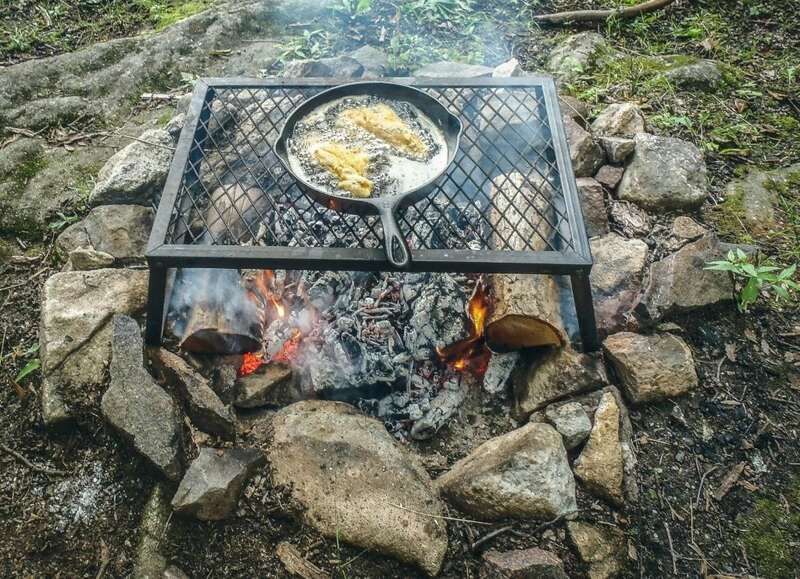 When you are out camping, hiking, and backpacking you have a lot on your plate. Sadly, gourmet food is usually not one of them. It can be down right impossible to pack enough food and gear to make delicious and varied meals, right? Wrong! With the right know-how you can make amazing food without a lot of gear or ingredients. The first step is to open the beer and take a sip. We want the oil to be nice and hot right when we have finished preparing our fish fillets, so we should heat that up now. Nice job! Take another sip of beer! We need our fish fillets to be cleaned and dried. You COULD buy these fish fillets from a store, but hopefully, you caught, skinned, cleaned, de-boned, and dried them yourself (because I can’t do that). Anyway, take your fish fillets and dredge them in the flour. We want just an even coating of flour all over the fish. Take another sip. Now we want to mix the pancake mix and about ¾ cup of beer together. The rest of the beer is for you. Mix it with a fork until it is smooth. Now we want to take our floured fish fillets and dip them in the batter. Again, we want an even coating. Put these fish fillets into the oil and cook until the outside is golden, brown, and delicious. Once the outside is done the inside should be nice, moist, and shiny. Only cook two at a time as overcrowding the pan when frying is a big no-no. Once they are all done (and you ate the first lightly fried fish fillet just to make sure it was done and then finished the beer) let them drain a little bit on a paper towel. After that, you can sprinkle a little dill, pepper, or lemon on them, but that’s not really needed. They are pretty perfect just the way they are. 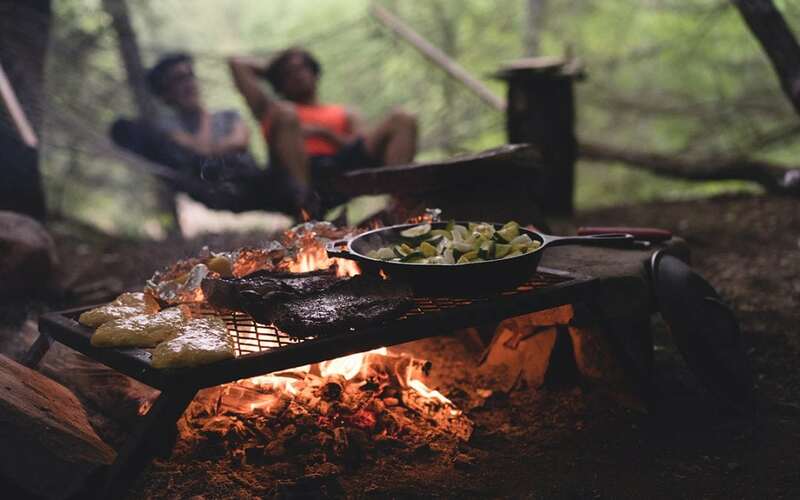 The dutch oven is a great and effective place to cook a pizza. Take out your pizza crust and place it in the bottom of your dutch oven. If you want to bring pizza dough, just let the dough cook up for about 5 minutes before adding the rest of the ingredients to give yourself a nice base on which to build. Next, layer out your tomato sauce. Try not to use too much, a little bit goes a long way. You can substitute the tomato sauce for things like buffalo sauce, barbecue sauce, or store-bought pizza sauce. Now add the cheddar cheese. Spread it out so you have even coverage. I prefer to have my pepperonis not too crispy so I like to add them next. Make sure they are flat and that you have even coverage. Now add the mozzarella. 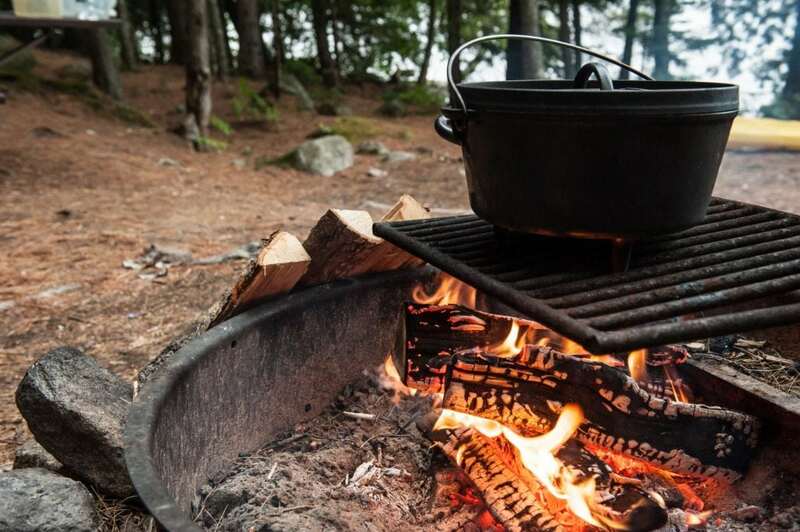 Put your dutch oven onto the coals. Now place the lid on the oven and put five or six coals on top of the lid. This will cook the pizza from both sides so it should only take about 10 minutes. These tasty treats are good for breakfast, lunch, dinner, or just a snack. Add the corn bread mix and the sugar into a bowl and mix. Then slowly add the water and keep mixing. While you want constant mixing, you do not want to over-mix. Next, add the drained canned corn and give it one more mix. 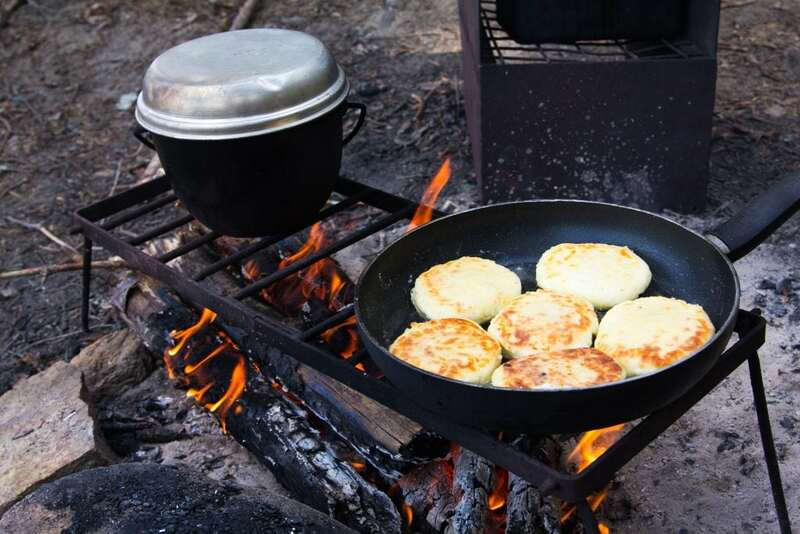 The secret to making fritters is to make sure the cooking oil is super hot when we start. Start off with a skillet and add a little bit of oil to cover the bottom, it’ll probably be around one-fifth of the ¼ cup of cooking oil. Ladle some of the batter into the oil and cook until crispy on the bottom side, about 3 minutes. Then flip and cook for another 3 minutes. Drain them on paper towels as you finish off the rest of the batter.